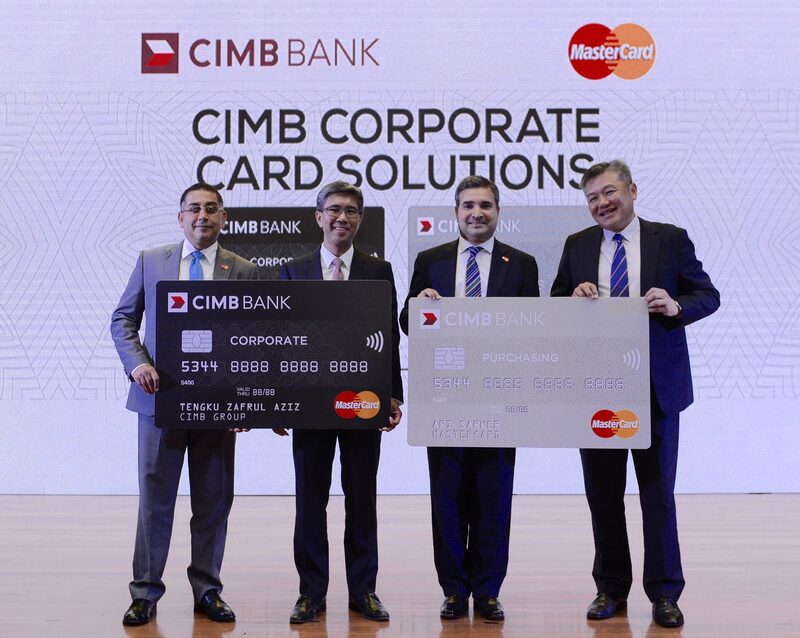 CIMB Bank, in partnership with MasterCard, has launched its Corporate Card Solutions in Malaysia, a new addition to its suite of cash management products. The solutions include the corporate card and purchasing card which offer automated processes and real-time reporting; and a new virtual card solution for supply chain requirements. Tengku Dato’ Sri Zafrul Aziz, group chief executive, CIMB Group, says the solutions “mark an important milestone” in its digital innovation strategy; and they are a “response” to Bank Negara Malaysia’s (the nation’s central bank) call for a reduction in the usage of cheques from 207 million in 2011 to 100 million by 2020. The CIMB Corporate Card lets organisations manage employee spending by allowing real-time overview of employees’ travel and entertainment expenditure. The CIMB Purchasing Card automates the company’s procurement process by capturing card transactions in real time, which helps account reconciliation. Both cards were designed to “address and potentially replace” cash and cheques in business expenditure. There have been two notable developments for CIMB so far this year. CIMB Group completed a major core banking project – to unify its regional operation on a single platform, One Platform (1P). The project spans four countries: Malaysia (where the group’s headquarters are based), Indonesia, Singapore and Thailand. Wirecard is also partnering with CIMB Bank Singapore to provide mobile point of sales (mPOS) card acceptance and banking solutions for clients of POS solution provider Eleos Web. Software till system manufacturer Eleos will use Munich-based Wirecard’s white label solution to “expand” till functionality to incorporate mobile card acceptance.